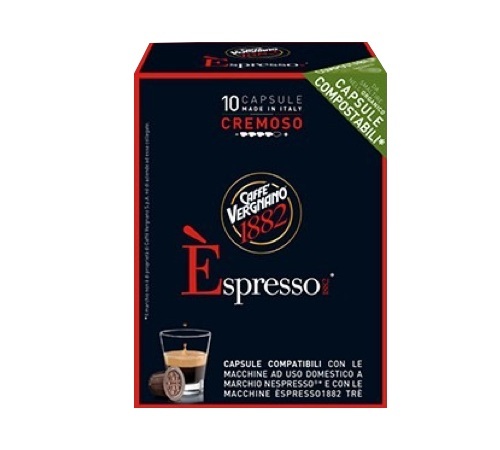 Discover these 10 biodegradable Espresso Cremoso capsules from Caffe Vergnano. This full-flavoured coffee offers a thick crema and persistence in the cup. The capsules are compatible with Nespresso® machines. 1 box of 10 capsules.